As New Year’s Resolutions are created each January, many people put sensible snacking on their list of self-improvement goals. But finding guilt-free options that are both delicious and satisfying can be a challenge. Orville Redenbacher’s® Gourmet® Popping Corn, part of Conagra Brands (NYSE: CAG), has a wide-range of snacking suggestions for 2017. 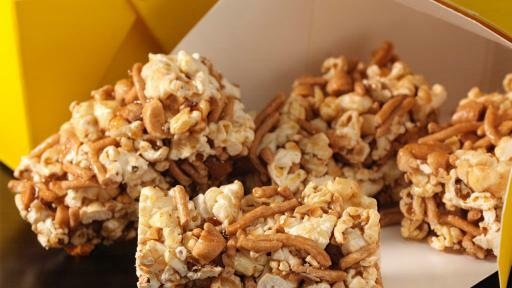 Popcorn lovers have long enjoyed a freshly popped bag right out of the microwave, but as the only leading brand that uses real butter in many of its products, Orville Redenbacher’s can also serve as the main ingredient in an assortment of delicious popcorn recipes you can feel good about. A great snack begins with great ingredients and Orville Redenbacher’s has been committed to great ingredients since the beginning. Orville Redenbacher’s is the only leading brand that uses real butter in many of its products, continuing a tradition of high-quality ingredients that dates back to 1952 when Orville Redenbacher hand selected a small group of farmers to grow his exclusive kernel that pops up lighter and fluffier than ordinary popcorn. 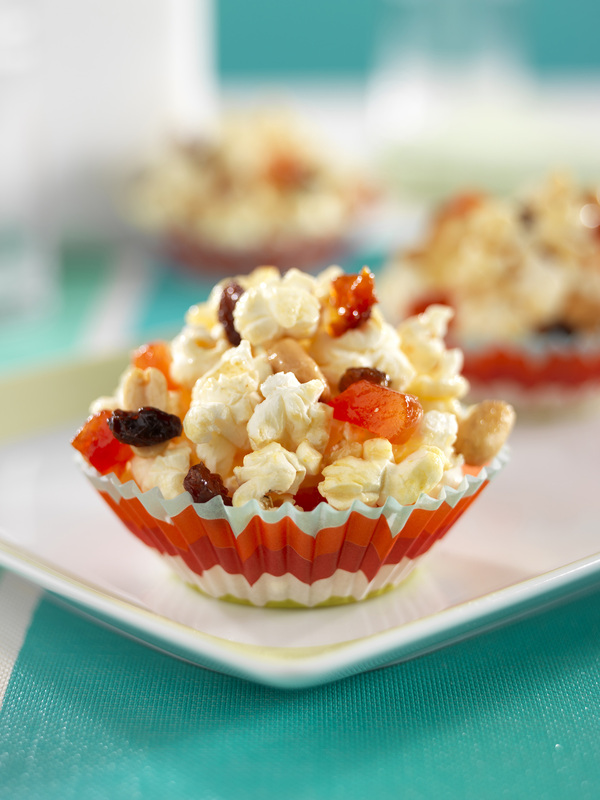 While warm, delicious microwave popcorn is always a crowd pleaser, here are some ways to add a unique twist to your popcorn preparations. Spice It Up: Orville Redenbacher’s microwave popcorn is your passport to a world of flavors; just add a dash of your favorite spices or seasonings to a warm bag. While cinnamon is always a popular addition, bolder options have become increasing popular, with Buffalo Wing sauce, chili powder, wasabi, Sriracha and curry powder adding an exotic touch to freshly popped popcorn. 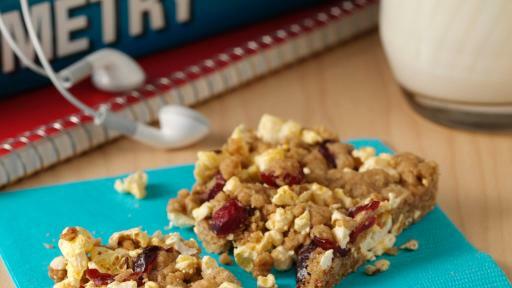 Hit The Trail: Fans of trail mix will appreciate how popcorn mixes perfectly with nuts, seeds and dried fruit. 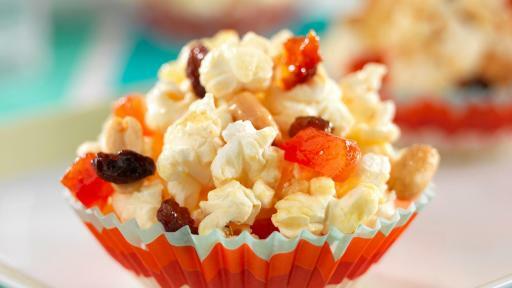 For a convenient take along treat, you can enjoy microwave popcorn, blended with peanuts, dried fruit, and a dash of honey and lemon juice. 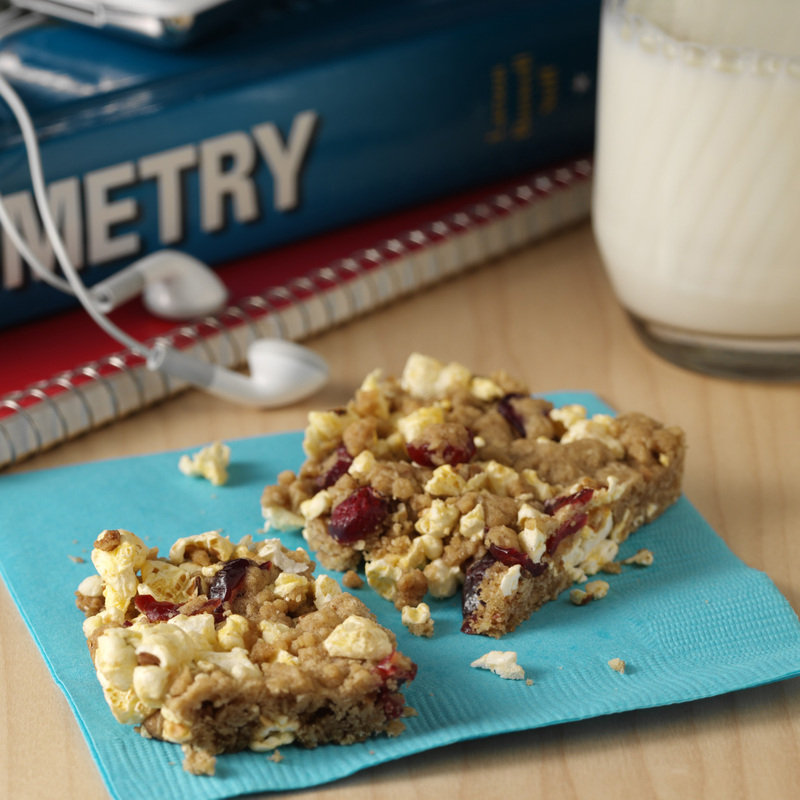 Power Up: For a tasty energy boost, Orville Redenbacher’s Power Crunch Bars can be enjoyed at home or on the go. Orville Redenbacher’s SmartPop! Kettle Korn microwave popcorn is blended with oats, cinnamon, brown sugar and dried cranberries for this power-packed treat. 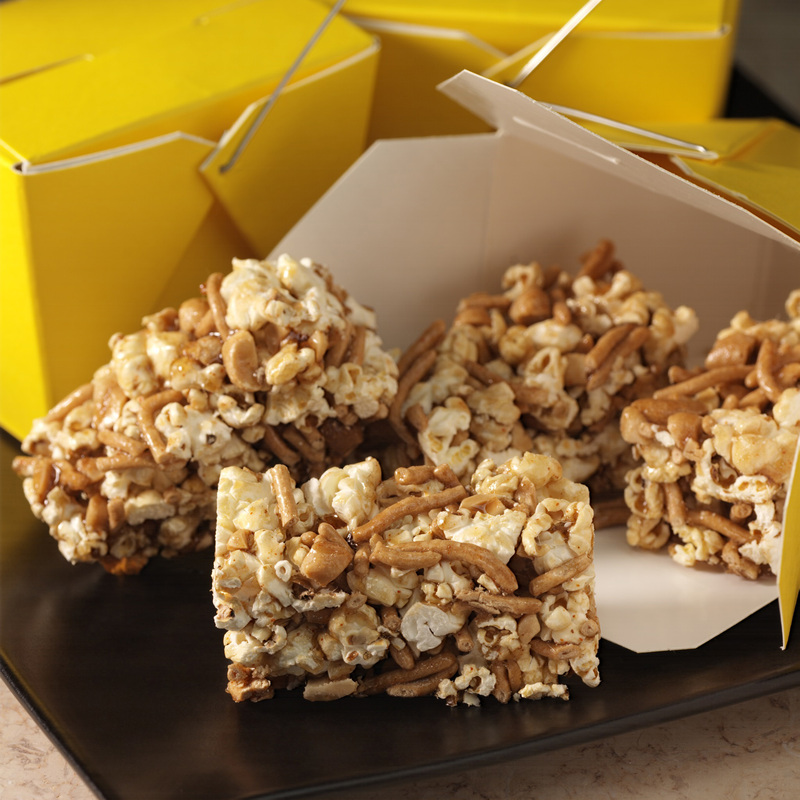 Kung Pao Pop: For the more adventurous snackers, Kung Pao Crunch Bars combine the whole-grain goodness of microwave popcorn with a unique Asian flair. This easy-to-prepare recipe calls for fresh-popped microwave popcorn, Chow Mein noodles, sesame oil and red pepper. 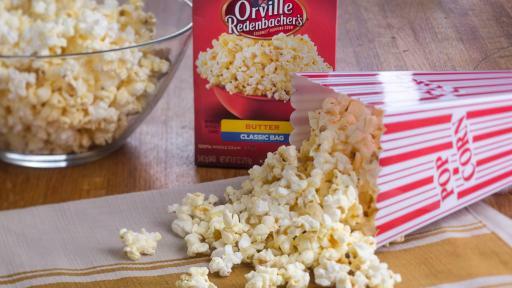 Orville Redenbacher’s full collection of microwave popcorns offer plenty of variety, from the buttery flavor of Movie Theater Butter, to sweet and savory options such as Kettle Korn. Orville Redenbacher’s Naturals Simply Salted combines the simple goodness of whole grain popcorn with simple ingredients such as oil and salt, while SmartPop! offers a satisfying microwave popcorn that’s 94% fat free. For more information on Orville Redenbacher’s full collection of microwave popcorn and kernels, visit www.orville.com. 1: Nguyen V, Cooper L, Lowndes J, et al. Popcorn is more satisfying than potato chips in normal-weight adults. Nutrition Journal. 2012; 11:71. Orville Redenbacher dedicated his life to creating the highest quality popcorn. In 1952, Orville hand selected a small group of family farmers to grow his exclusive kernel that pops up lighter and fluffier than ordinary popcorn. 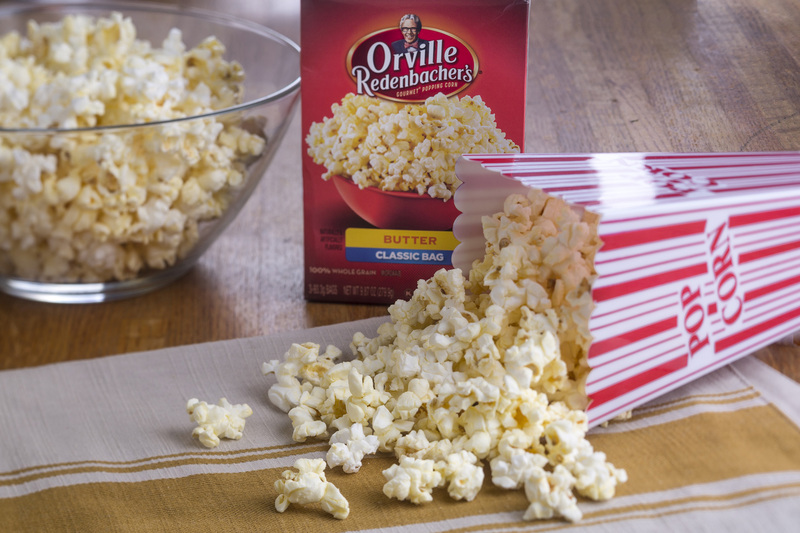 Today, our family farmers continue to uphold Orville’s commitment to quality, growing only the best popcorn. And, Orville Redenbacher’s® is the only leading brand who uses real butter in many of its products. Orville Redenbacher’s popcorn offerings include buttery, sweet and savory, 94% fat free SmartPop®, and Naturals microwave popcorn, as well as jarred popcorn kernels. For more information, visit www.orville.com.